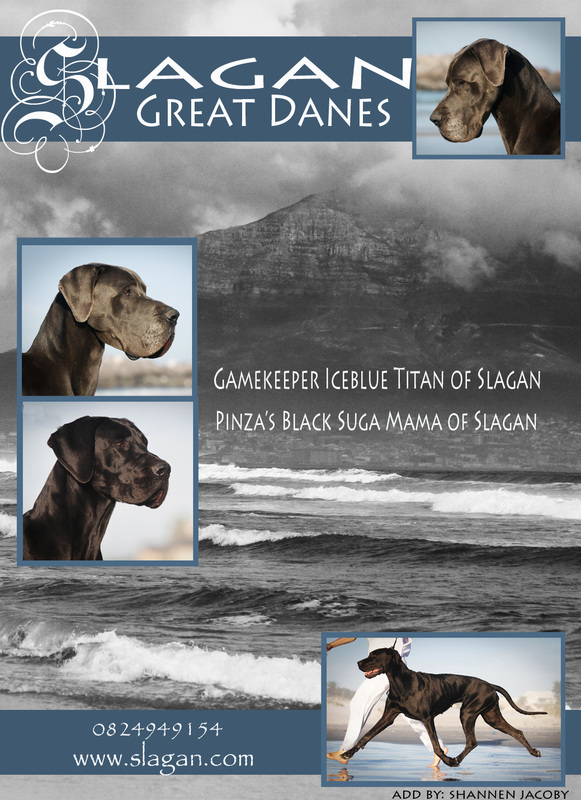 Venus flew to us on the 27th of December 2011, all the way from the world renowned Pinza Kennel in Denmark. Dawn Coward allowed this beautiful young lady to come and grace us with her presence. She accumulated many best puppy tickets in her first year with us and achieved her first Best of Breed just one day after her first birthday. She has also achieved numerous Best Junior in Breed and was awarded a Working group Junior 1st, plus a few main group places. Her 3 Best of Breed and plenty Reserve Best of Breed placements have made me even prouder than I already am, of this still developing girl. She is a very worthy Champion. Isis is the "old" lady of our house. She started showing with our daughter at the age of four and a half years old. Having received no prior show training, we took the first few shows as her schooling sessions. At the age of five she knew what was expected from her and really enjoys herself in the ring. She has come home with a Best of Breed and two Challenge Certificates towards her becoming a champion. As she is getting older, she will be shown selectively, only when she wants to. Titan had a very successful puppy year winning Best Puppy in Breed in many of the shows he was entered into. He received his first Challenge Certificate at just 12 months of age. His showing career was cut short at 14 months due to a fall that tore ligaments in his shoulder.